Euthanasia Prevention Coalition Euthanasia Prevention Coalition: Great News: Connecticut rejects assisted suicide again. Great News: Connecticut rejects assisted suicide again. 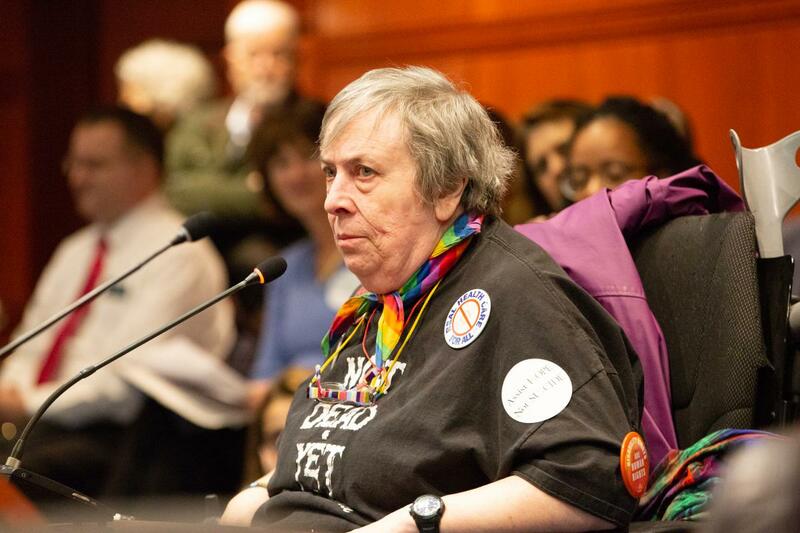 It is great news that Connecticut once again defeated the assisted suicide bill. 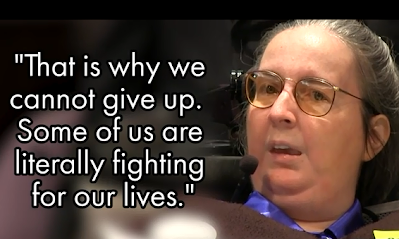 There are many people who have worked for many years to continue defeating assisted suicide in Connecticut. A special "shout out" goes to the efforts of the Second Thoughts Connecticut disability rights group. *Cathy Ludlum: We will be the collateral damage of assisted suicide. “strongly held” religious beliefs among lawmakers, coupled with concerns from people with disabilities, prevented the bill from advancing to the House floor. The bill’s chances of success next year also are low, Steinberg said, since several members are holding firm in their opposition. “Modifying the bill in and of itself would not necessarily change any votes. So I think we would probably be looking to a new legislature,” he said. Nicole Leonard, reporting for WNRP, interviewed Elaine Kolb from the disability rights group Second Thoughts. Leonard reported that Kolb intends to remain involved with Second Thoughts and opposing assisted suicide for the rest of her life. Thank you to everyone who continue to commit to opposing assisted suicide. Unlike the assisted suicide lobby, our leaders are volunteers. Thanks also to Leslie and Peter Wolfgang and their faithful leadership!